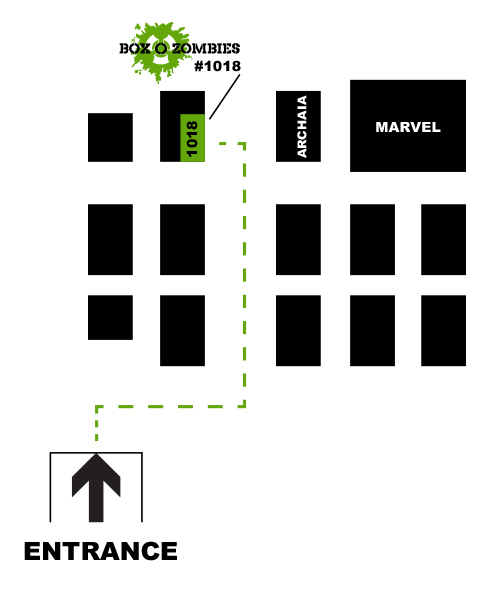 Come see us at C2E2 Booth #1018! Come visit us and see what we’re up to. The artwork has been submitted to printers for flyers, t-shirts, booth graphics, posters, etc. C2E2 is just a few days away! Play a demo of the Box O Zombies Game. Setup camp and get ready for a zombie attack! Want to see even more? Place one of the NFC enabled figures on the touchstone to unlock extra content. Pick our brains (just don’t eat them) about what’s to come in the BoZ franchise! Pixeldom will be live broadcasting right from our booth! If you can’t make it to the show, make sure you tune into the Pixeldom Live UStream where you can catch the live stream of interviews, panels, or a view of our booth! You can also signup for a Pixeldom account which you’ll use to earn currency in the Box O Zombies game and to use at the Pixeldom Store! Yes, we’re a small team. And most of use will be there at some point working the floor. If you have questions about the story, the NFC touchstone, the artwork, or gameplay, you’ll get answers straight from the source of those doing the work. 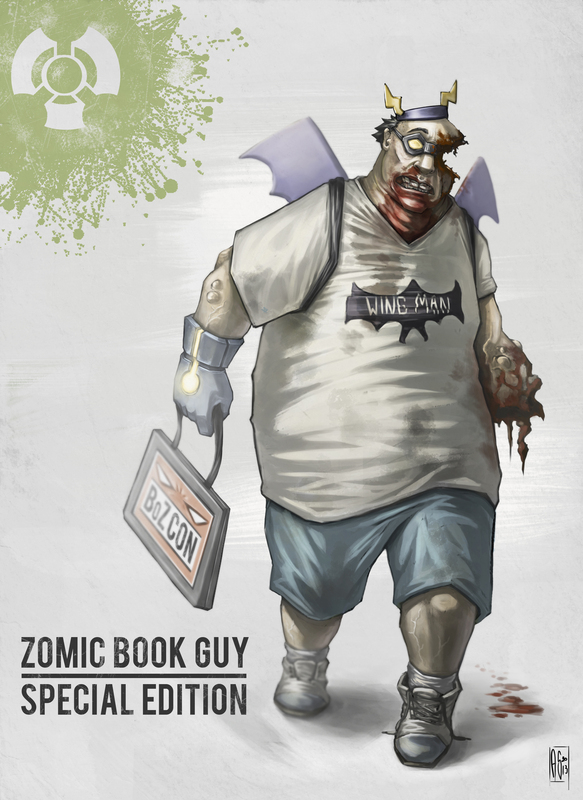 You’ve seen him through his development of sketch to 3D model, now take home a piece of the convention and get your very own con exclusive Zomicbook Guy figure! He’s NFC enabled so when the game is released you can expect some pretty awesome unlocks that will only be available to those who pick him up at our booth. The game’s not final yet! Help us get there by getting into the alpha. Test, break, and make suggestions for the BoZ game. You can get alpha access to the game by purchasing a Touchstone, any of the figures, or by purchasing a classic Box O Zombies set! 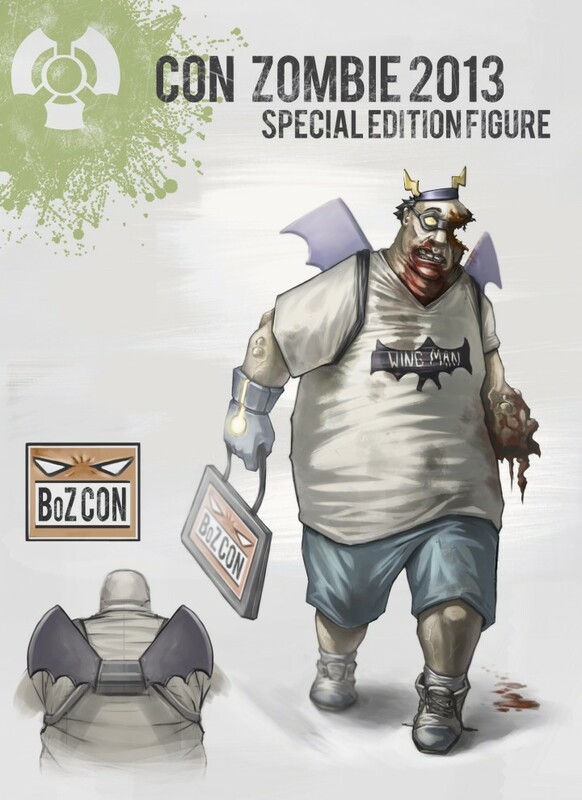 In honor of the Chicago Zombie Pub Crawl this Saturday (which we are proud sponsers of) and C2E2 in a few weeks, all Box O Zombie figure boxes are temporarily on sale for $7.99!!!! Buy at box at the Zombie Crawl, C2E2, or our shop here! The Chicago Zombie Pub Crawl is this Saturday, April 20th at 2pm starting at The pH Comedy Theater (1515 W. Berwyn). You can still register at http://www.chicagozombiepubcrawl.com/. We’ll be posting some more information on C2E2 in the upcoming days! Thanks to everyone that made it out to Cibola in the heavy traffic and rain last Friday. Check out some photos of the event on the Meetup Page. Until someone posts the video from the event, check out this demo of the NFC Touchstone working with the 3D printed SLA for Nathaniel Tinkerton. Patrick, from Patched Reality sparked a lot buzz and interest in Augmented Reality. We got to see some great examples of games that already use augmented reality technology, many of which he created himself, as well as discussed the future of augmented reality and gaming. He even had a pair of augmented reality glasses that looked much like Google Glass. Kent and Shawn got up there and shared with the group their history and showed the few trailers available for the other NFC games out on the market, Skylanders and Disney Infinity. Another game that was recently announced to use the NFC in the WiiU controller, is Pokémon Rumble U. And now to talk about Box O Zombies the game. Box O Zombies is a tower defense and civilization building game for iOS. NFC connectible collectible figures can be purchased separately that are replicas of characters in the game. These figures, when used with the Touchstone, will unlock abilities, power-ups, resources and more with the power of NFC. 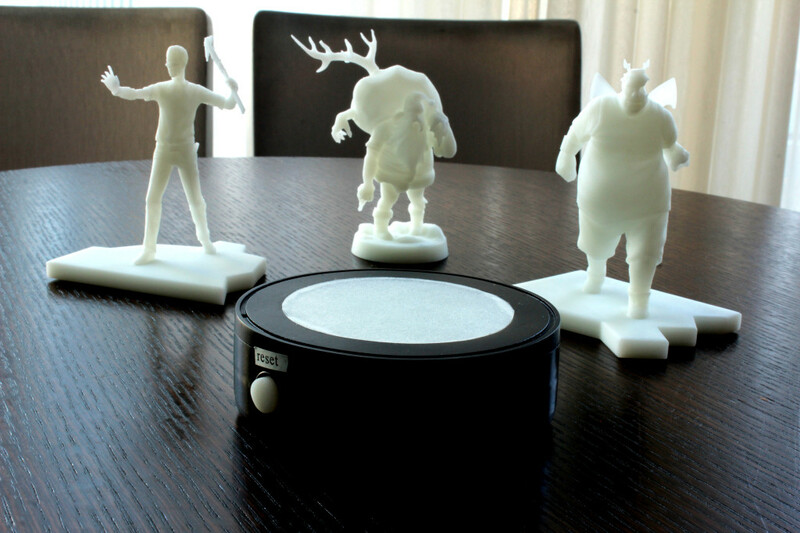 Kent demos, for the first time anywhere, the white SLA figures with NFC chips. It interacts with the Touchstone and unlocks Nathaniel Tinkerton in the game, as shown by the animation on the iPad. NFC device will be available for use with other games outside of those that Creative Proximity makes themselves, enabling NFC for all! Something as minor as a Latrine says a lot about a community. How much spare time it has, what materials are available, how much they value privacy, how clean things are kept. These things only begin to skim the surface (seriously, no pun intended). In order to build a successful universe, for even the smallest details, levels of thought and practicality need to be applied. So yes, even a Latrine has to make sense and has the ability to break a piece of the universe. Leaving it floating there in still waters (…This is a very serious analysis). When constructing the buildings of this makeshift community, there has been and continues to be a lot of tweaking and revisiting. Partially due to new design information, but also due to the art team’s determination to really push the level of informative detail. Sometimes we put too much in, over building objects and making them a little to advance for the initial levels of the game. We just don’t want to create your typical post apocalyptic shanty town, we want it to feel unique and representative of a world that is a little different than the norm. In the first level things are pretty straight forward, but as the levels roll out more and more twists will be revealed. Revealing more and more of the malleable character that is the survivor camp grounds. Not only do we want the buildings to actively and interestingly inform the player of the game’s universe, we want them to seem practical. We want each phase of upgrades to make sense and not feel like a magic button turned wood into bricks. They need to exist on the border of disbelief in order to create a sense of discovery and wonder. So there may be a moment of disbelief, but through design we can bring the audience back in and have them rationalize what they are seeing. The way we went about this was establishing a style guide early and the process deconstruction. 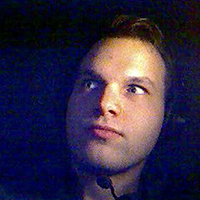 In a way we stumbled upon our approach. One of the first buildings we made was on target but a bit too advanced. So in order to make sure things didn’t get out of hand we worked backwards. Stripping the building down to make the lower levels. This helped create a nice blueprint. So even if future buildings were built up the chain of levels, it established a mindset on how to make the buildings feel natural and connected. We also need the buildings to serve the game functions as well as the platform. The primary platform at the moment is the iPad and iPhone. The assets are a low resolution art style on a high resolution platform, they need to be designed to make the leap. The buildings need to read clearly, in regards to their function, status and position on the map. The player has the option to zoom in and out a good amount. So players will want to keep tabs on all the game elements at once. This creates problems with even more details lost at the most zoomed out state. We approached this with a few layers of detail, hue and saturation coding. I was also told this can be referred to as a visual hierarchy so now I’m saying it’s that thing. VISUAL HIERARCHY (credit to Matthew Board, professor at Columbia College for the additional vocabulary). The base layer is saturation in context. So the ground detail, like rocks, grass and dirt, are a little less saturated than the buildings (not seen here as the ground is under construction). This provides a foundation that will help with the initial pop of detail. The next tier of identifiable detail is color and familiarity. There are a series of tents that serve different functions. In order to translate that they serve a similar purpose in a larger context, (perform fundamental functions for running a community), we made them share a general structural design, but varied them a bit. So they don’t look exactly the same, but are familiar, maintaining uniqueness within the larger context. Similar to Teenage Mutant Ninja Turtles, Power Rangers or Swedish people. On top of that, each tent is color coded providing a player sort of a visual handle bar. So rather than trying to remember what the Lumber Mill looks like or it’s location, there eyes can scan the screen and grab onto the color. This has been a bit of a tricky process so far, color balance against the colors of the environment poses some challenges. An additional UI icon system is being developed to further assist with this system. The third tier, serving as an accent, is key items with in the tents. 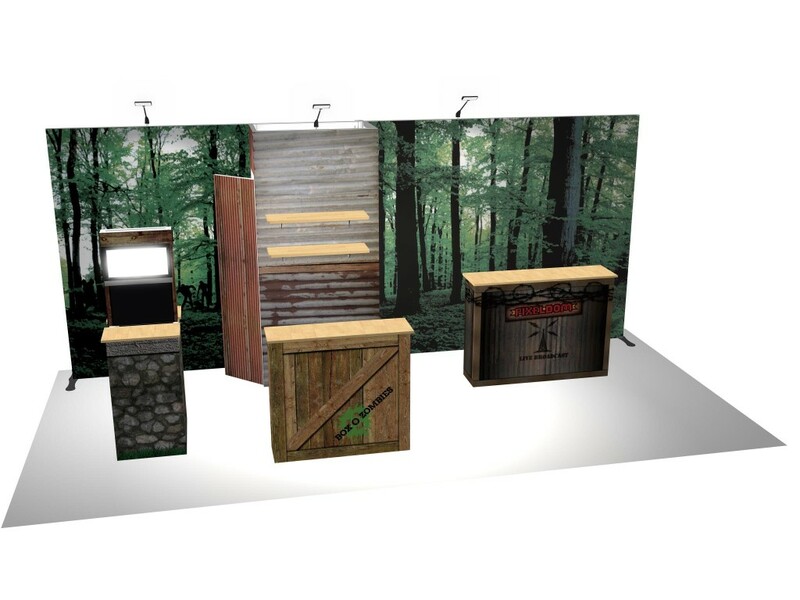 We tried to design and layout specific items that pop visually from the other tent details. This not only helps create uniquness amongst similar tents, but also helps clearly and quickly translate the different levels. Again, it is kind of like another handle for players to grasp. The more handles, the easier it is to…….HANDLE. This weeks artist was inevitable considering the entries topic, Eddie Einikis. He is an extremely talented concept artist with some tools in the 3D realm as well. His adaptation to pixel art has been incredible, producing high quality, unique art in a short amount of time. 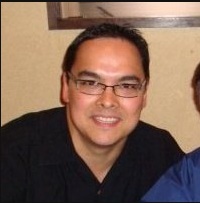 He works as our primary environment/structure pixel artist. This concept process is usually through description, reference photos, conversation and iteration. Most of the time I give him the designer’s description as well as my interpretation, sometimes with a few specific details I would like to see, and he get’s to work. He has done a stellar job at not only building assets but also contributing effective ideas for visuals and production pipelines. In short, he is good and a artist who I imagine will continue to create really cool stuff. Below is a bit of what he has to say about the process. For more updates from Anthony Sixto, stay tuned! Augmented Reality in Video Games, Box-O-Zombies and More! We would like to thank the Chicago Experimental Game Developement Meetup Group for inviting us to present tomorrow at one of Chicago’s newest innovation centers, Cibola. 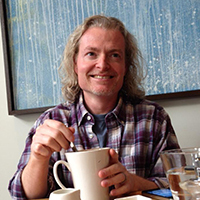 We will be sharing the spotlight with Patrick O’Shaughnessey from Patched Reality, Inc who will be talking about Augmented Reality. At the event Shawn and Kent will be discussing the history of Box O Zombies, their backgrounds in game development, and the transition to their joint venture, Creative Proximity (Immersive Realms, Eightbit Studios, and Pixeldom). They will also be showing off the newest build of the game with working NFC interactivity and discussing the trials and tribulations that have gone along with creating of these new figures and their integration with the game mechanics on the road to their debut that will be at C2E2 next month! Creative Proximity is a pioneer in the video game industry, dedicated to making the digital gaming world a better place to play. Our goal is to deliver high quality, compelling mobile games that are entertaining, immersive, and enhanced by real world interaction. Box O Zombies the game will showcase how smaller developers will be able to delve into the world of NFC gaming just like just like those of bigger properties such as Skylanders, Disney Infinity, and newest talk of utilizing the WiiU’s NFC capabilities, Pokémon. With an independent intellectual property like Shawn’s Box O Zombies, it’s the perfect example of taking one man’s local creation and bringing it, literally, into the digital world to share the vision and backstory of these figures in a way that could never be done through static plastic. We will be giving away series one Boxes of Zombies to Meetup attendees, so get their early as they will be first come first serve. Make sure to RSVP, or just join the CEGD Meetup Group for future events. The next phase of the Box O Zombies line involves taking the art style and narratives in new, fresh directions. Rather than starting from scratch, we are playing off the first run in order to really expand the sense of discovery and unpredictability. We are starting this new universe with the iOS game and a new line of toys focusing on survivors. The two will interact with each other in a very cool way. The narrative of the game and the new art direction, really help us contribute to the genre with diverse characters that begin to feel a little different from the norm. As we begin to roll the world out, it will open up to more possibilities and unexpected turns. Hopefully, the plan will be executed in a manner that people can appreciate. The path has been set since late October. C2E2 is down long stretch of road. A production plan has been roughly blocked out. New toys and a game must be ready for the masses roaming the maze of pop culture t-shirts, comics, action figures and if we are as lucky as last year, Bubble Man! (or was that wizard world in which he graced us with a booth?). It is at C2E2 where the Box O Zombies game, and how it works with the new toys, will be demonstrated. The new line will not only be cool little sculpts, they will be game pieces. So scanning a figure into the game using NFC data, will unlock a character and some special abilities. Now with that made clear, new challenges are presented for art direction. On top of an overall update and improvement on the art style based on what we have learned, the art direction has to walk a fine line, pleasing two mediums. It has to create a feel and temperature for the universe while working for a pixel art game. On top of that it has to make sense for a 3″ printed figure. This has been a challenge but incredibly fun. The concepts have to be consistent, meaning that they characters can’t feel dramatically different as pixel art, concept art or a sculpture. Otherwise the sense of connection to the characters across the mediums will be lost. So there is a fine balance of creating interesting detail that builds a character history and design, while still being able to translate key details with simple pixels and more complex sculptures. Where as too fine of detail, will lead to quite a bit being lost in the two different conversions. This time around the characters are pushed towards a more stylized, painterly feel. This was a case where it served an artistic and practical purpose. Now characters can be given more energy and interest with harder edges, simple strokes and pushed proportions. 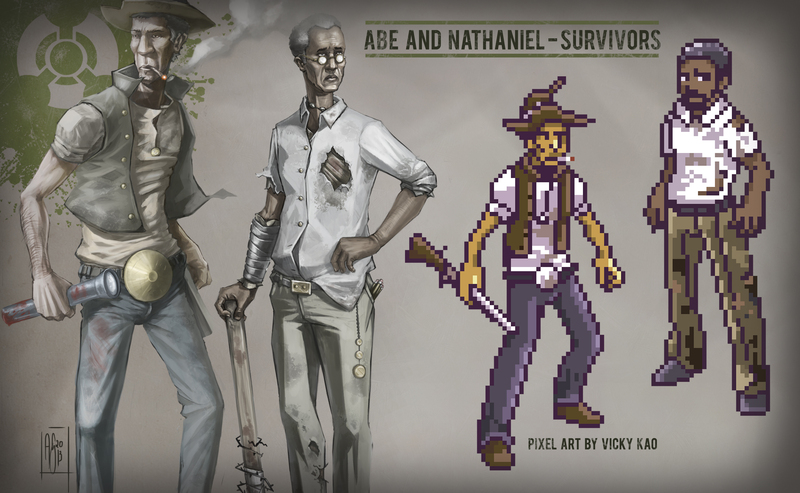 So if we encounter a character who may seem pretty plain in description (Nathaniel for example), we can ramp up his appeal with the art style. It also is easier to convert to pixel form, due to some key components are already exaggerated. A good example of this is Abe’s lanky figure, round buckle and over-sized hat (get it, it’s an over-sized hat). The simplicity also lends itself to manufacturing, if characters can be strongly and uniquely defined with a less detail, it makes them cheaper to produce. It took awhile to fully develop the new art direction, but eventually we found a nice harmony amongst the many variables of the project. Production is at full steam, but it is still a bit too early to reveal game details. 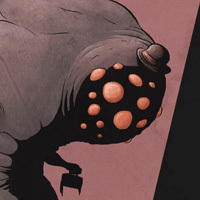 The next entry will begin to pull the curtain back ever so slightly, so if you close one eye and look through the slightest of cracks; you will sneak a peek at what will be shown at C2E2. This includes more concepts, pixel art and introductions to new team members.Over the coming entries the blog will flesh out the overall art direction of the game. Don’t stop looking at words yet! More words below! 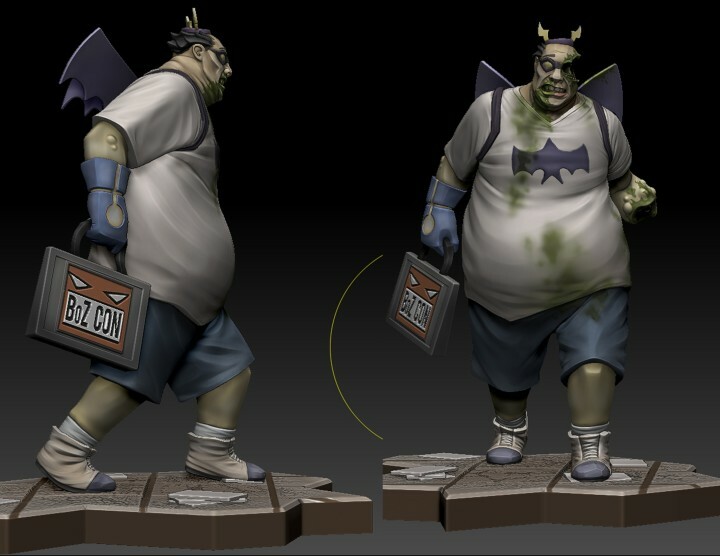 The developer Diary will introduce a member of the art team with each entry. It is a small group of young artists, some still students. However, it is an incredibly talented team worth highlighting. They all have great abilities and provide lessons to any artist through their work. This week we have Vicky Kao, an illustrator on her way to graduating from Columbia College’s Art and Design Department. She has a great range of anime style illustrations that bleeds into more surreal imagery. She modestly is hesitant with animation, but has a great sense of movement and the ability to capture a character’s energy. She is definitely an artist to follow and you can do so by clicking letters, that reference some code that makes your computer show you lot’s of cool things. Click the letters below. And Now for a Taste of Things to Come. You asked for more zombie info, well here it is. Take a look at some early game footage and a little taste of what you’ll be doing in the game. While it’s still in the alpha stages, rest assured by the time we launch we’ll have many more zombies on screen and the ability to build a much bigger camp. Looks like Santa went down the wrong chimney this holiday. 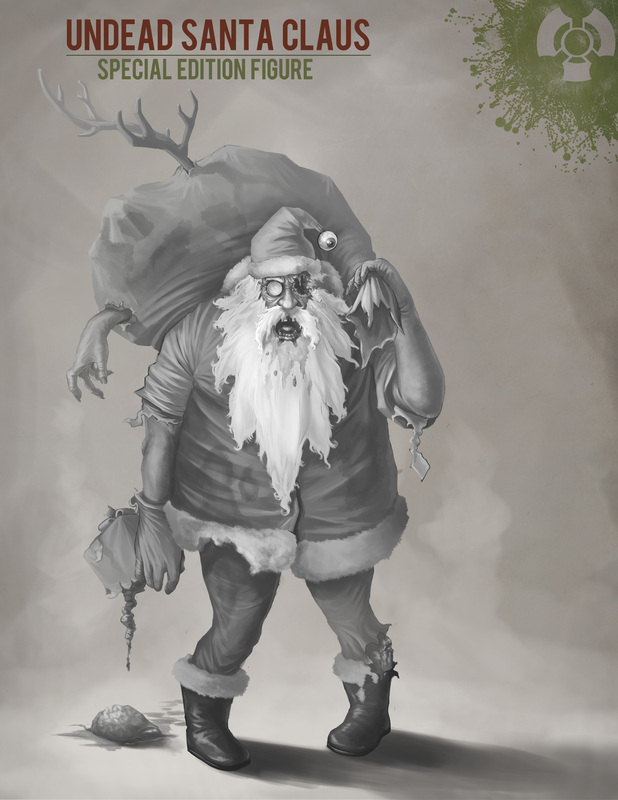 Check out this Zombified Santa created by the Box O Zombies team. 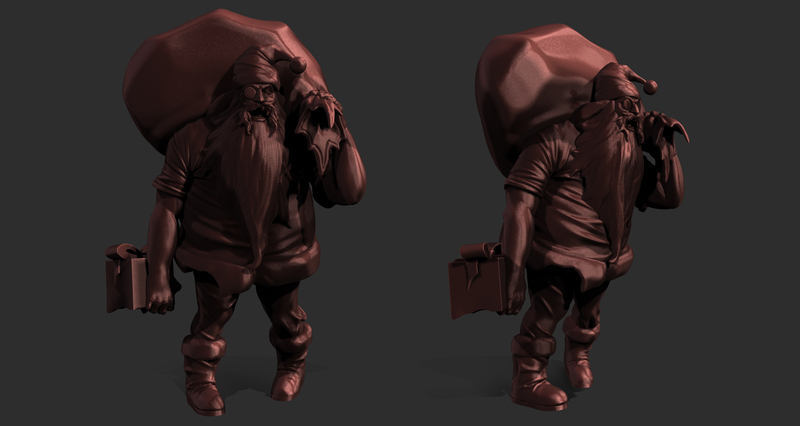 This creepy Mr. Claus will be a full flesh figure with in-game content and is available through pledging the Box O Zombies game on Kickstarter. The Box O Zombies game began with Shawn Recinto’s Box O Zombies figures. Recinto was influenced by his own children’s toys to create 2 inch Zombie figures that resonate the little green army men we all enjoy. 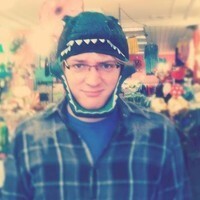 He is now collaborating with Eight Bit Studios, NFC Data, and Pixeldom to create the Box O Zombies game. The game evolves around the player building and defending his camp from Zombie hoards. With NFC chip technology, the Zombie Santa and other figures will trigger exclusive in-game content with a simple scan. 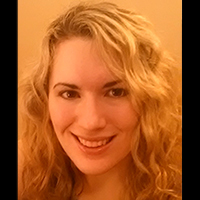 My name is Amanda, I’m new here on the Box-O-Zombies team and you will be seeing some posts from me on site from time to time under the name amandaveronica. I wanted to introduce some of the team to you so that you can get a feel for the real people who are working very hard and passionately on the Box-O-Zombies game. You may find we have a lot in common, and we’d really like you to know that we’re not just working on this as a job, it’s a creative collaboration made from like minds. First here’s a video from our last meeting. Some of us spend more time thinking about zombies than others (one can only take so much zombie at any given time before going nuts) but we all spend most of our time thinking about how to make this experience the best possible one for gamers. And if you haven’t already, make sure to check out our Kickstarter with a new $10 Pledge Level that gets you a limited edition Zombie Santa Figure! 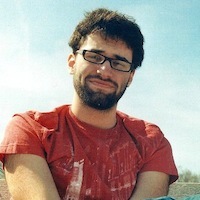 About: Tim is a video editor and motion graphics artist. He does improv all around the city of Chicago and is very much interested in the softer side of zombies, by which we mean where the best place to slice them open may be. He also enjoys sitting in dark theaters, going down hill, and peanut butter. About: I had dreams of building a game while in the Game Design program at Columbia College, and I’m finally getting that chance. I’ve worked in the tech space for the past 8 years, but my love of tech and geek goes back to my childhood. 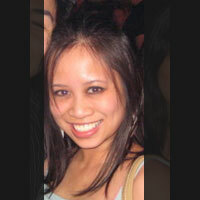 I’ve worked in online payments, mobile application development and I’m an avid gamer and movie fanatic. Weapon of Choice in a Zombie Outbreak: Aluminum baseball bat, just swing for the fences. About: Another Columbia College graduate, when I’m not working, playing video games, or creating digital art I can be found watching cartoons, dancing at a local metal concert, or walking my mini dachshund. I live my life by rule 32 of Zombieland: Enjoy the little things/don’t sweat the small stuff. About: I graduated from Columbia College here in Chicago with a degree in Game Design with a Sound Concentration, and have been freelance composing and sound designer-ing ever since. When I’m not working on music for games, odds are I’m listening to music from games(a.k.a playing games all day), reading Sci-fi books, or daydreaming about being a cowboy…or maybe a guy that lives in space…or a space cowboy. Weapon of Choice in a Zombie Outbreak: With a body like this who needs weapons? But seriously, probably A LOT of guns. Who’s on my zombie apocalypse team: An army of well trained bears. another at (you guessed it) Columbia College in Advertising Art Direction. cooking/baking, or watching the moving pictures. 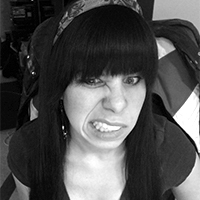 About: Hihi, I’m a 2008 graduate of Carthage College in Graphic Design with special interest in Web Development. I view myself as a casual gamer, but I have played Counter-strike competitively in LAN teams for several years. If I’m not being a workaholic, I am photographing inanimate objects, being crafty, and enjoy eating anything in sight. my car last summer (timed, not wheel to wheel). About: I gradated from Robert Morris College in 2006 with a concentration in Graphic Design where I also played ice hockey. I love to play video games and go see the latest flick at the theater which works out great since I review a movie and video game on a podcast every week with my boyfriend Kent. About: I have been a Technologist in Chicago for over 20 years, diving deeply into mobile technoligies, specifically iOS 4 years ago. I’ve been working in Objective-C, that’s what the kids are calling it these days ‘cause that’s what the geezers called it in the late 80s, since 1992. I live tech, am an avid reader and a bit of a film buff. In addition to being a software engineer, I am also a linguist so I’m on fire at parties. Who’s on my zombie apocalypse team: Lt. Cmdr Data from T.V.’s Star Trek, The Next Generation; The Terminator; and Jaws. 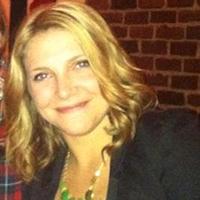 About: I graduated from Columbia College in Spring of 2011 with a degree in Game Art. I’m currently a contract artist working on various projects ranging from small animated shorts to triple A titles. I work as a illustrator, concept artist, 3D artists and occasionally an animator. I enjoy studying film and philosophy. About: I am currently a character artist at Phosphor games where i sculpt, model, texture and setup characters for video games. I spend most of my time alone in a dark room with my Wacom. You can take that however you like it. 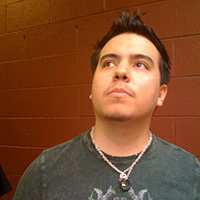 About: I’m currently a student at DePaul University studying Game Development Programming. Gaming is my favorite past-time, but making games is my passion. Outside of game dev I spend most of my time writing music and watching crappy movies on Netflix. Now that you’ve met us, leave some comments below and tell us about yourselves! And if you feel like it, we’d really appreciate your help in spreading the word about our Box-O-Zombies Game and the Kickstarter! Happy Holidays from the Box-O-Zombies Team! A New $10 Pledge Level has been added! Pledge today to get your Exclusive NFC Collectible Zombie Santa Kickstarter figure. We’re pleased to announce that we’re getting in the holiday spirit with our Zombie Santa exclusive Kickstarter figure! 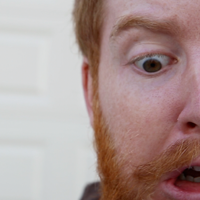 Ever wonder what happens to Kris Kringle when you don’t feed him his cookies and milk? Wonder no more with this exclusive holiday flavored zombie. Just because it’s the end of the world doesn’t mean Santa wont be making his way to your town. Our Zombie Santa is coming to eat your brain whether you’re naughty or nice. Complete with in game content and special Christmas bonuses, this limited edition figure will be included with all pledges with the exception of the JUST A FLESH WOUND level. We’re also pleased to announce A VERY ZOMBIE CHRISTMAS pledge level. 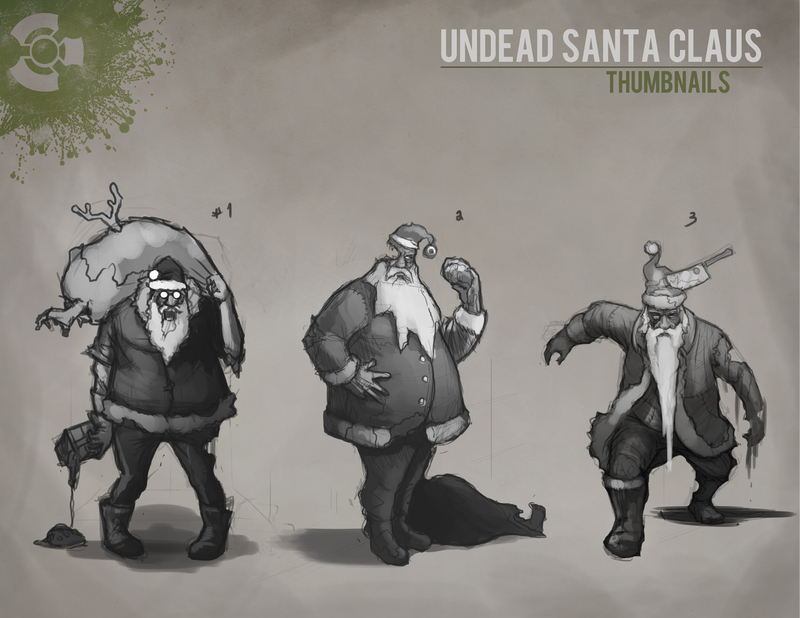 For $10 you get a digital copy of the game when it releases and your very own Zombie Santa. You’ll still need to buy an NFC reader or the full Box-O-Zombies game to get the in game Santa content, but you’ll have a Zombie Santa figure to keep you company all year long. We’ve got some early concept art to share today and we’ll be showing off our finalized concepts over the next few days including an early render of the actual figure. Happy Holidays from the BoZ team!